Commercial Flexible Packaging & Design. Sixto Packaging is a family-owned and operated certified minority flexible packaging converter, dedicated to providing the highest level of quality products, outstanding customer service and quick lead times for over 40 years. Servicing the snack food, coffee, beverage, medical, personal care, household, pet food, and other specialty markets, Sixto Packaging prints, laminates, converts to pouches and bags, and coverts shrink sleeves all in house. Contact us today for more information. 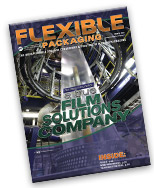 Sixto Packaging is an advocate for flexible packaging & has been featured in industry periodicals. Click the button below to download our featured article in Flexible Packaging Magazine!